A couple years ago, my husband and I joined my sister, my brother-in-law, and a couple other friends for a backpacking trip in the Dolly Sods Wilderness in the Monongahela National Forest. 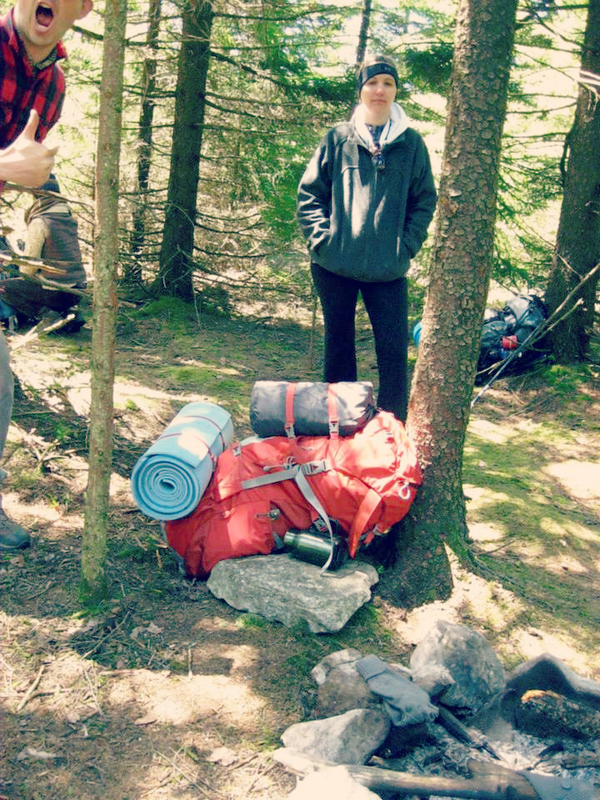 I’m not usually the backpacker type, though I’ve done my share of camping over the years — mostly in my teens and 20s. Not in my mid-30s after having two kids. But, it was a trip planned for my sister’s 30th birthday, and I’m typically game for anything (and in fairly decent shape at the time, running regularly). So I figured, why not? How difficult can it be? 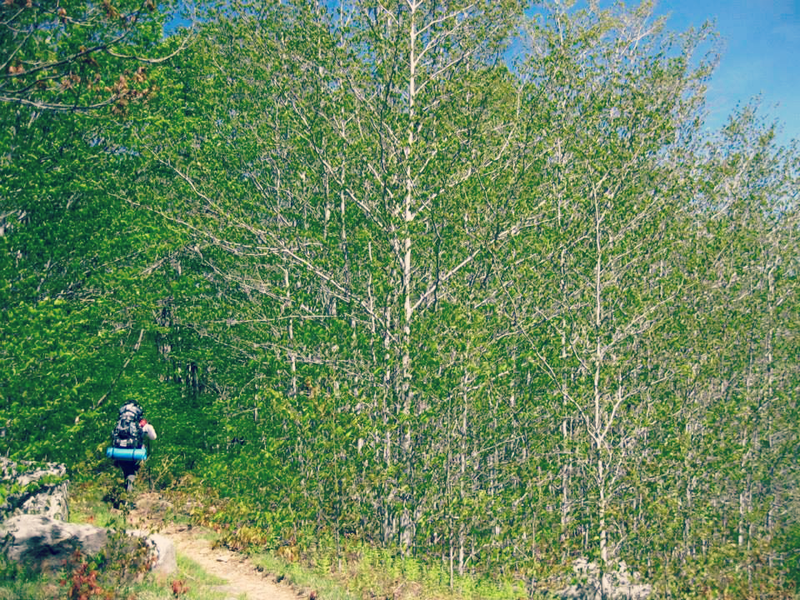 When I say “wilderness” as in Dolly Sods WILDERNESS, I certainly do mean it. This is not glamping. Not even close. The landscape in this West Virginia national park is akin to what you’d find in the Canadian wilderness; it’s a vast landscape with all kinds of vegetation that differs from one ridge to the next. The trees were stunning, and I found two things fascinating: the soft, fluffy moss all throughout the forest and the endless wild, native blueberry bushes. We weren’t there in time to actually try the blueberries; they were just starting to bloom. I’ve heard they’re sweet and tart, and I can only imagine how stunning the landscape becomes once all the deep blue pops! 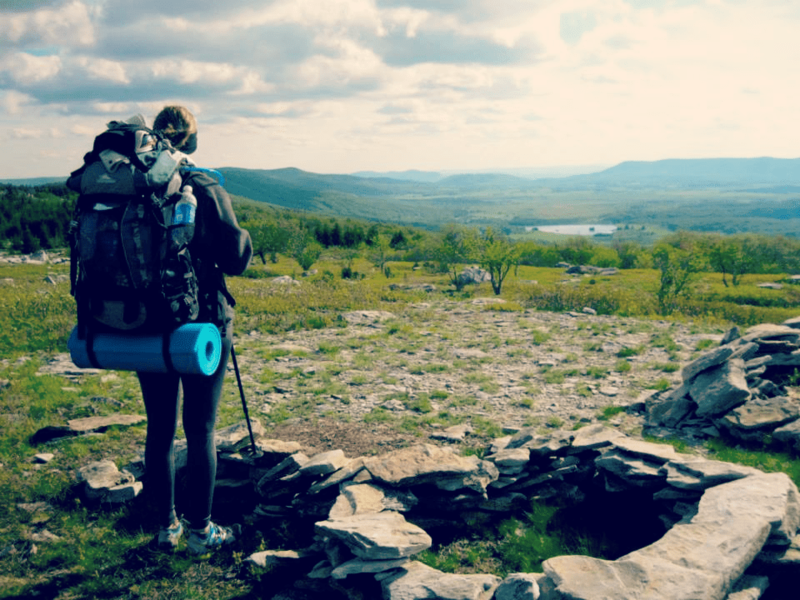 We spent our three days working a 15 mile loop around the Dolly Sods Wilderness. This means we parked the cars on the first day at the south end, started hiking northeast and looped back around westward until we hit the road within a mile of our parked cars on the third day. It was both exhilarating and exhausting, and my legs and feet were definitely giving me grief the day after we returned. My face was even puffy, probably from a mix of windburn and dehydration. I’ve explained the feeling as training for a 5K and then going out and running a marathon. The mix of thin and rocky trails, LOTS of uphill paths, the weather (cold and very windy), and my 35-year-old body sleeping on the hard forest floor, really packed a punch. Funny thing is, I didn’t really notice just how much of an impact the trip had until after we finished. I think part of that is survival — there is no giving up when you’re 10+ miles into the wilderness and stubborn as all get out! 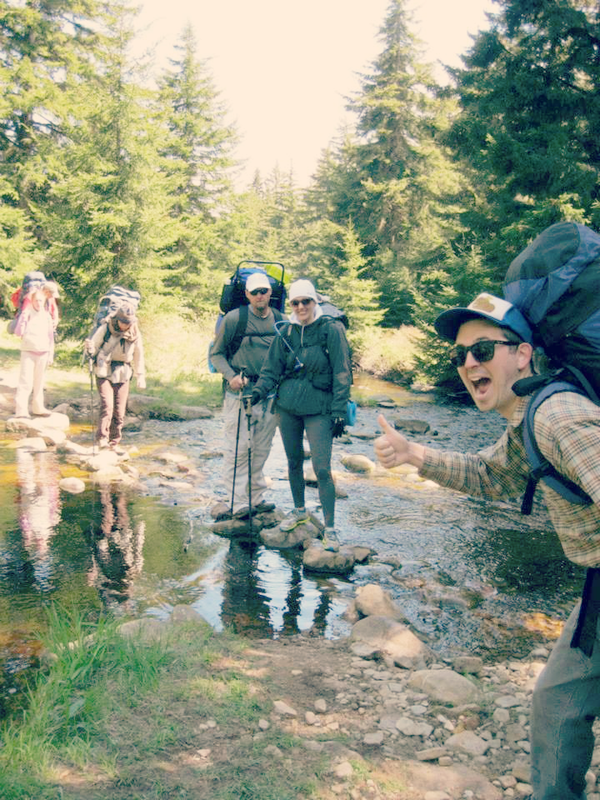 The other part is that we had really great company, and our little backpacking tribe laughed a lot. A LOT. Even when things got frustrating. Like on day one when there were no available campsites to be found, and we looked…and looked…and finally made do with a spot that had room for us, but wasn’t really ideal. We got the tents half-way up, started gathering firewood, and low and behold one of our group found a hidden site about 50 feet off the trail, with enough space to perfectly hold our three tents and one bivy sack. And the unrelenting winds during the first two days, about 30 miles per hour — not just gusting, but nearly constant. And cold. So, so cold. It was actually frosty on the morning of the third day. FROST. IN TENTS. Cold. And the quirky water filters we had to use in order to drink fresh water. Temperamental and necessary — it makes you value how easy it is to get fresh water at home, that’s for sure. We had to make many frustrating batches of potable water from streams along our path, or that we had to cross. You know what? It’ll be a trip we’ll all never forget. The good, bad and the ugly. And really, there wasn’t much in the way of bad or ugly…unless you count the awful hat-head, wind burn and sore leg limps. Ha! Wondering where all the food shots are (I am the foodie of the bunch, after all)? Well, I can tell you what we brought: granola, apples, peanut butter, hot dogs, protein bars and rice. And S’mores, with dark chocolate! The focus of this trip was certainly more about the company and surroundings than it was the food.